This home offers a rare opportunity for a peaceful, tranquil coexistence with nature. 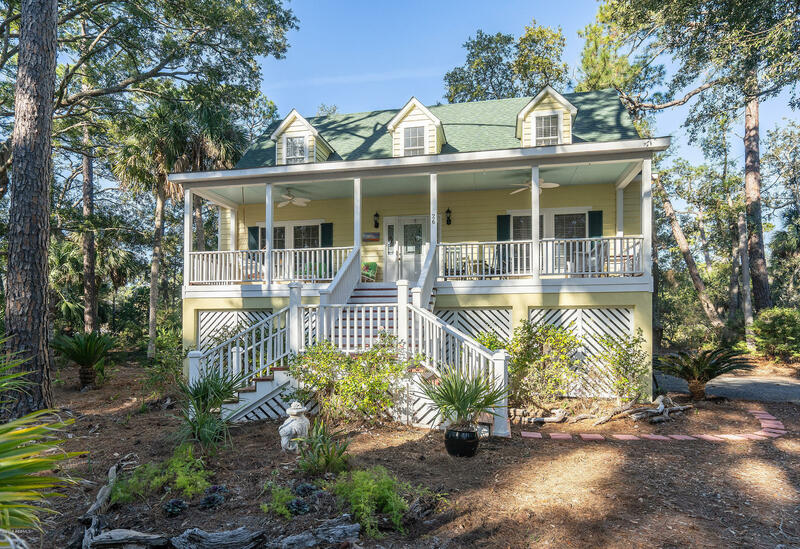 The natural landscaping of tropical, pine and oak trees features a large lagoon for bird watching & simple enjoyment from your private deck or patio. The low country designed home with front porch spanning the entire width of the home says ''welcome.'' The living room embraces warmth with the smokeless fireplace and hardwood flooring that flows throughout the first level of the home. The fully equipped kitchen/dining area offers spacious cabinetry and solid surface counters with access to the outside for extending dining/entertaining options. A laundry room and powder room are conveniently located near this area, as well, protected access to the garage area.